Tamiya 20065 1/20 Scale 1977 Team Lotus Type 78 with Photo-Etched Parts Plastic Model Kit from the Grand Prix Collection by Tamiya. Suitable for Ages 14 and Up. 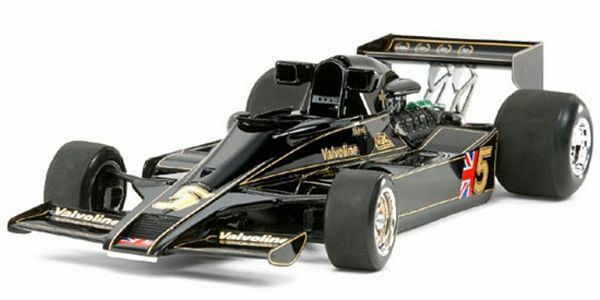 This is the TA20065 1/20 Scale 1977 Team Lotus Type 78 with Photo-Etched Parts Plastic Model Kit from the Grand Prix Collection by Tamiya. Suitable for Ages 14 and Up. Lotus has brought a number of innovations to F1 racing since they entered their firstrace in 1958. The introduction of ground effect cars, the result of their aerodynamics research, was one of the highlights. 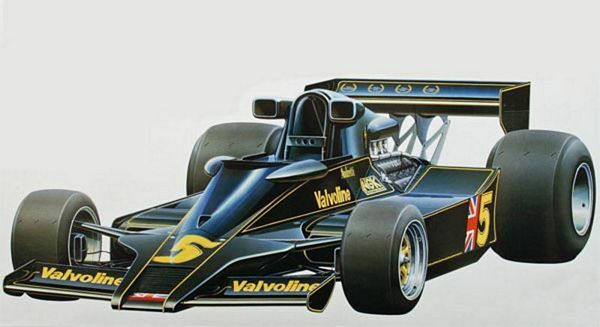 In 1977, Lotus introduced the Type 78 (base model for the Type 79) which had a slim monocoque chassis and wide side pontoons with under surfaces like inverted aircraft wings. Airfow beneath the side pontoons thus enabled the body to generate downforce for stronger traction and faster cornering speeds. Mario Andretti and Gunnar Nilsson drove the car in the 1977 season, and despite early season troubles, they went on to take 4 and 1 wins respectively to prove the car's potential. 1/20 scale highly detailed plastic assembly model kit. The low profile, sharp form of the Lotus has been faithfully reproduced. Body cowlings may be removed to showcase the detailed cockpit and engine. The inverted aircraft wing-shaped under surfaces of the side pontoons are precisely reproduced. Mechanical aspects of the Lotus including the DFV engine, transmission, and suspension has been remodeled in rich detail. Decals to depict both No.5 and No.6 cars seen at the British GP included. Side mirror surfaces and instrument panel depicted with metal transfers. 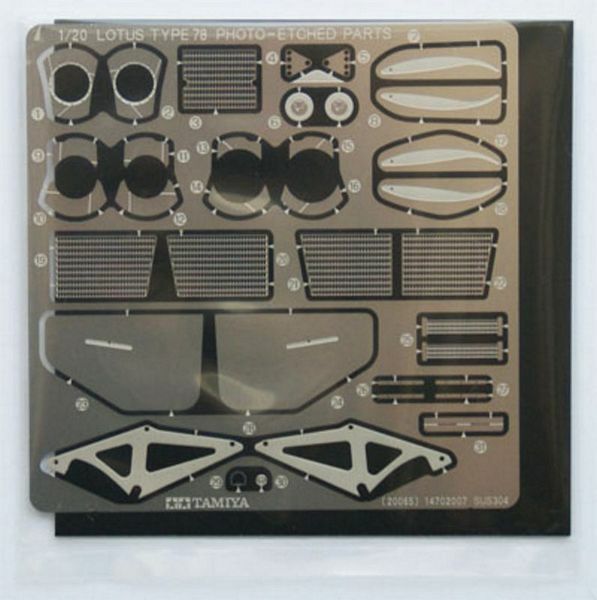 Parts such as brake-discs, radiator, rear wing stay are depicted with Photo-etched parts. The tire profile seen on the Lotus during the 1977 F1 season hs been faithfully replicated. Add greater realism to your model with Item 1/20 12637 Seatbelt A. Keep small pieces and sharp edges away from children ages 3 and under. Recommended for ages 14 and over. Remove plating from areas to be cemented with a hobby knife.